As a basis for our existing as well as for future applications, we have summarized the functions for converting PDF to PDF/A-1b, 2b, 3b as well as the ZUGFeRD format into a separate .NET component. Stand-alone C # / .NET component. Suitable for multithreading / parallel processing. Status feedback – as well as if no direct conversion / correction is possible the cause. PDF/A image conversion – For conversion problems that can not be corrected directly in the PDF data structure, the affected pages can optionally be processed by converting them to an image PDF / A with a highlighted search text. Management of Settings via Profiles (XML Files) – Profile Functions: New, Copy, Rename, Delete, Import, Export Single, Export All. CSV (Comma Separated Values) files can also be converted to PDF or PDF/A using FileConverterPro. Either as individual files or as email attachments or files in container files (ZIP, 7ZIP ….). 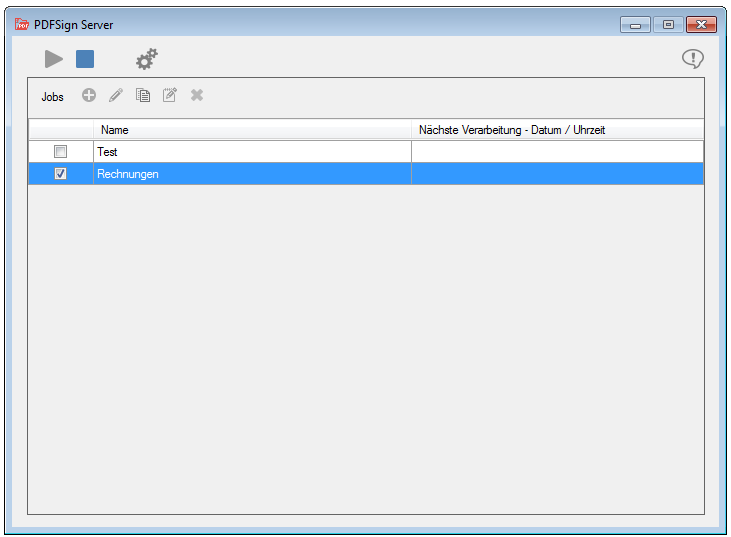 The CSV extension must be defined as “alias” for the XLS extension. The conversion can be done either “directly” or via “MS Office” / “MS Excel”. It should be noted that in the direct conversion for the CSV file a “,” (comma) or in the “MS Office / MS Excel” a “;” (Semicolon) must be used as a separator. If a different delimiter is used then the CSV file is not processed like an XLS but like a normal text file and no columns are generated. However, this only applies to MS Office / operating system in German. If MS-Office and the operating system are used in English then “,” and not “;” as CSV separator. With version 1.16.1. AutoOCR has been brought up to date with our basic components. Significant improvements have been made to the iOCR / vsOCR image processing routines. Now there is a much better recognition of the page orientation with which twisted pages are automatically aligned correctly and reliably. The PDFSign FM is based as well as our other PDF signature applications – the Web service, the CL command line application and the eDocPrintPro PDFSign plugin on the PDFSign .NET component as a common basis. The PDFSign FM is installed as a service on an MS Windows computer and is able to monitor one or more input folders via configured jobs. The incoming PDFs in the folders are recognized and processed either immediately or at a specific time and stored in the associated output folder. 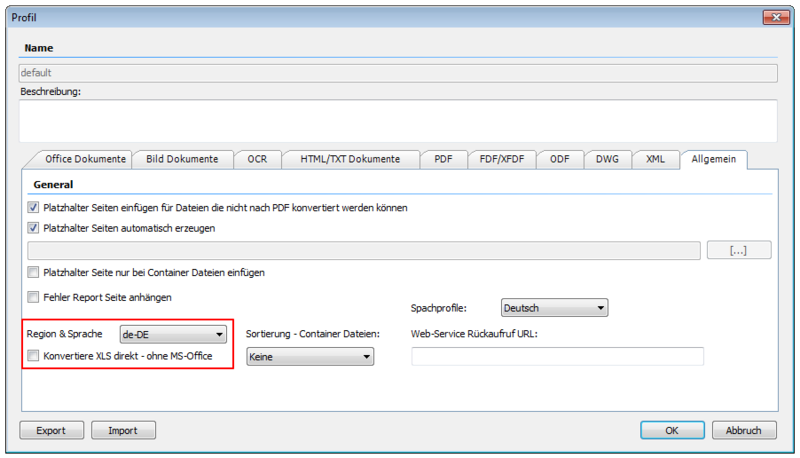 MS-Windows service to sign or timestamp PDF, PDF / A and ZUGFeRD. PDF / A and ZUGFeRD conformity is maintained. 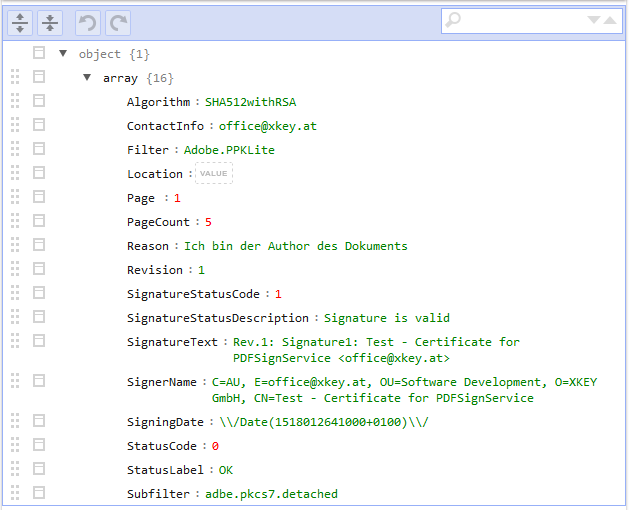 Selection of signature parameters via stored PDFSign signature profiles. 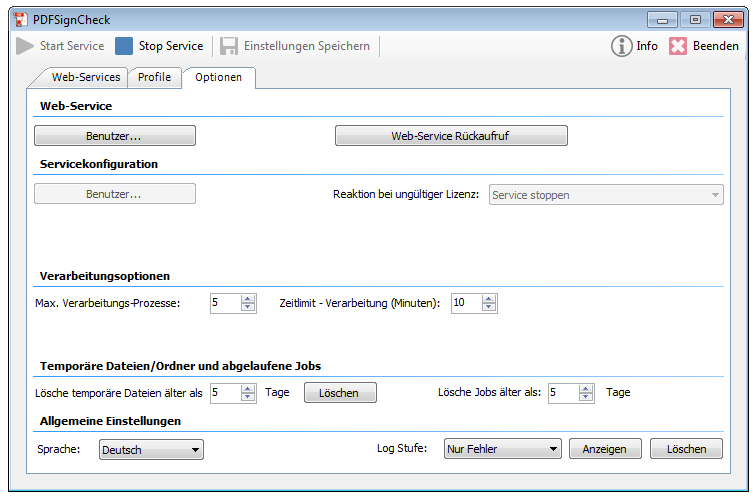 One or more input folders can be monitored by job definition. Sorted processing (name or time). 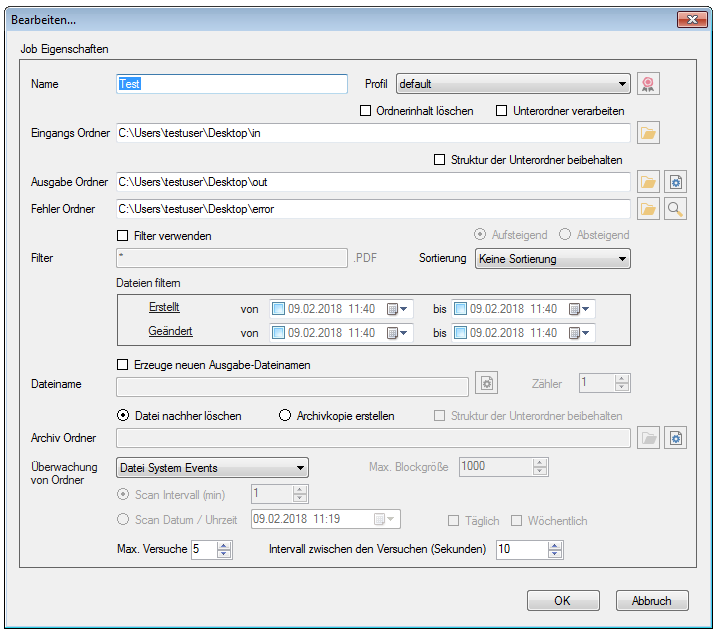 Processing all PDF’s from a folder / subfolder structure – Options: Create the folder structure in the target folder, delete the folder structure after processing. Definition of the file name in the target directory via text and variables (date, time, counter, original name). Start processing via file events (immediately) as well as over time interval (min) or date / time (once, daily, weekly). 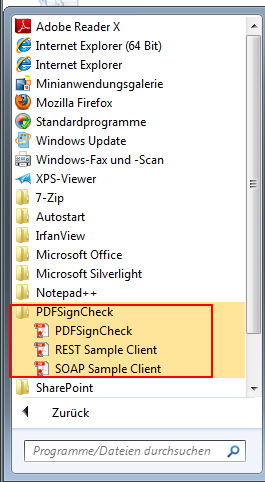 PDFSignCheck – is a service which can be installed under MS Windows and which has a REST / SOAP web service interface to check signed PDF documents and to read out their signature parameters. 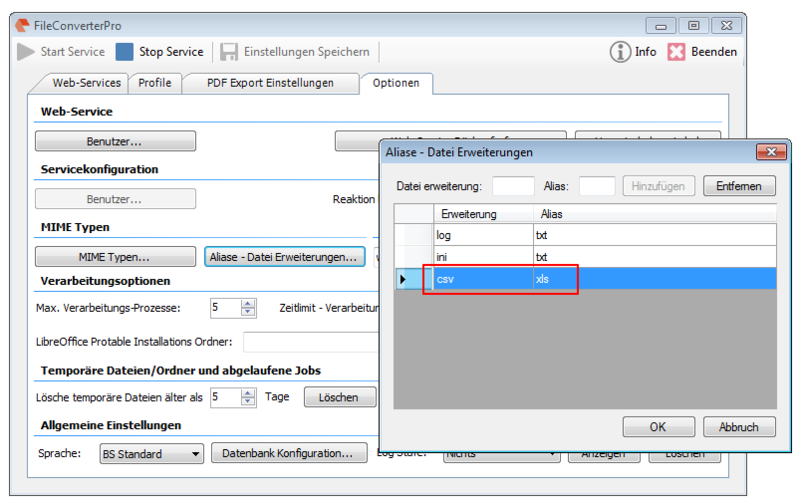 In order to pay the customer for PDF invoices z.b. via a web application to give the opportunity to check whether an email sent as a PDF invoice really comes from your own company or to check whether the PDF document has not been changed or manipulated. Using a valid PDF signature can ensure that the PDF document has not been tampered with, as any change invalidates the signature immediately. With the help of the PDFSignCheck application, it can be checked whether the document / signature is valid and therefore unchanged and on the basis of the signature criteria stored on the PDFSignCheck server, it can also be checked whether the document was issued / signed by the company itself. 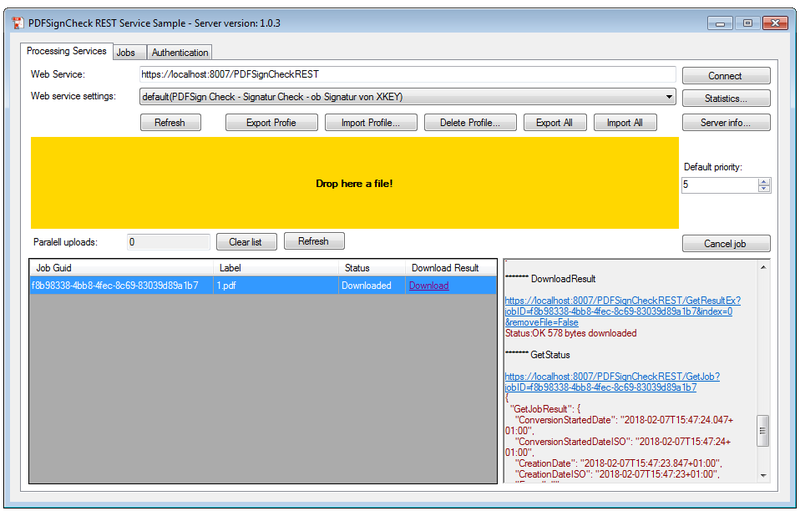 PDFSignCheck is installed under MS Windows as a service and provides a REST / SOAP web service interface for other applications. PDF files are transmitted via the web service and checked using a PDFSignCheck profile stored on the server. As a result, a file is created in JSON format that can be downloaded and processed further. The JSON file contains information about the read signature as well as the result of the check (“Ok”, or “not ok”). 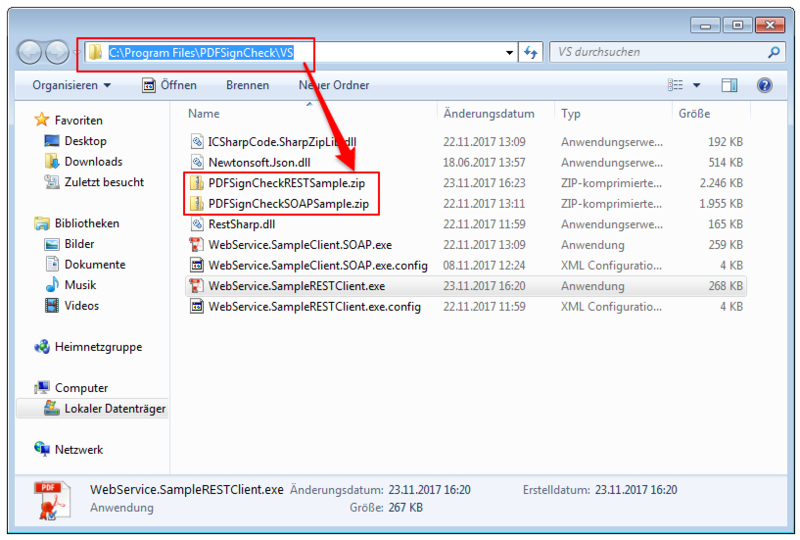 In addition to the service, two C # sample programs / VS projects – one for REST and one for SOAP incl. EXE and source code are installed. Thus, the PDFSignCheck service can be easily tested or show the examples of how the functions can be integrated into your own applications. 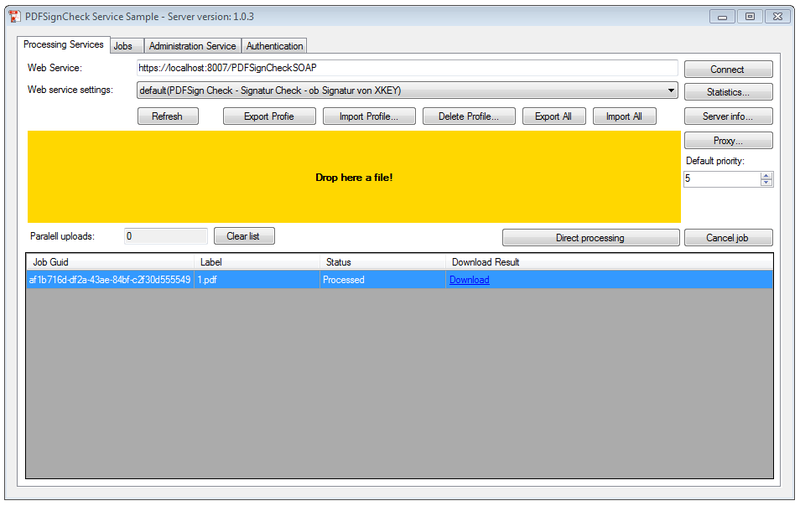 Root certificates and revocation lists are constantly updated, therefore the computer installed on the PDFSignCheck should also have an active internet connection. 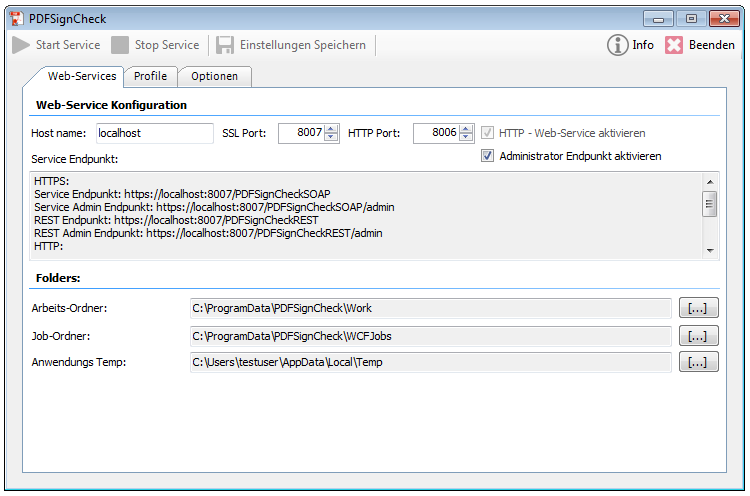 By default, PDFSignCheck runs as a Windows service under the “System Account”, the user interface for configuring the application under the logged-in user. Each user and the computer itself use their own memory for the certificates. In order to use the same certificate store, the same user account should be used for the service as the logged-on user with whom the configuration is performed. PDFSign CL – allows PDF, PDF / A or ZUGFeRD documents to be signed and / or timestamped. PDFSign CL is based on our PDFSign – .NET signature component and provides its functionality in the form of a command line application. PDF, PDF / A and ZUGFeRD PDFs can be provided with an electronic signature and / or an electronic time stamp. PDF / A, ZUGFeRD compatibility is retained. Processes – single files, lists of text files, folders, and entire folder structures. 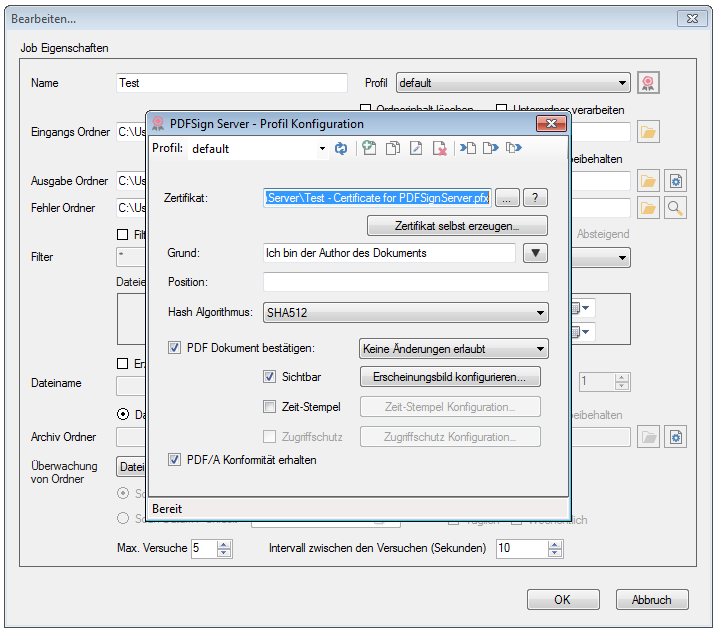 Configuration and selection of signature settings via PDFSign profile files. 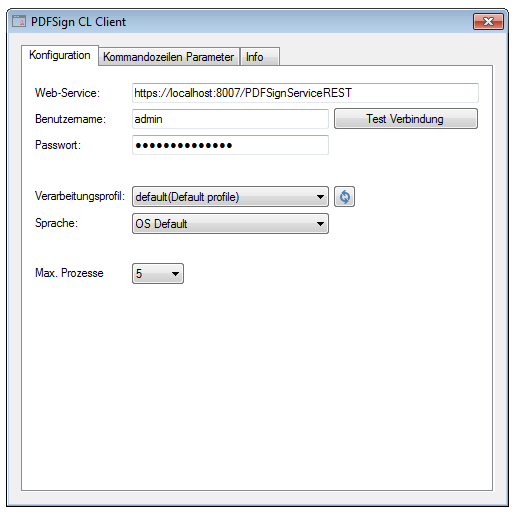 PDFSign CL Client – is a command line application to transfer PDF, PDF / A documents via a REST web service interface to a PDFSign service to sign and / or provided with a time stamp and then back to the calling client to transfer back. 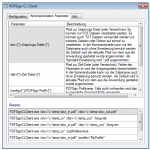 The PDFSign CL client is free of charge, available as an add-on to our PDFSign service and can be used as a client application on any MS Windows computer. 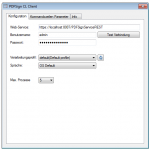 Free command line client for our PDFSign Service Application. 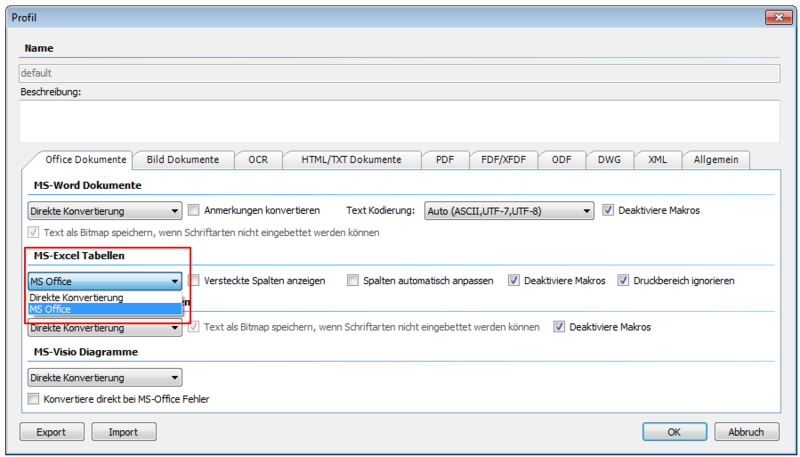 Selection of the signature settings via the profile files stored on the PDFSign Service Server. Parallel Up / Download allows fast processing of several documents in parallel.